On Sunday, April 19, a Muslim mob of approximately 50 people rioted and protested against a small Protestant church in Kuala Lumpur, the capital. The object of their wrath was the cross atop the building of worship — which was removed during the Islamic protest. 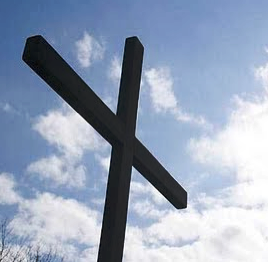 Rioters made assertions that the cross, the central symbol of Christianity, represented “a challenge to Islam” and could “influence the faith of young people”. The brother of an inspector general of police was among the leaders of the protest. Increasing numbers of Christians and secular Muslims are voicing concerns at the increasing signs of religious intolerance in a country that is often held as the exemplar “moderate Muslim” nation. We are confident that if protesters understood the true meaning of the cross, they would perceive it as a symbol of God’s love and mercy. The cross is not a challenge to anyone…. We believe it is important to promote a greater understanding among all Malaysians. Let us look forward by building dialogue and social and religious harmony in the nation.